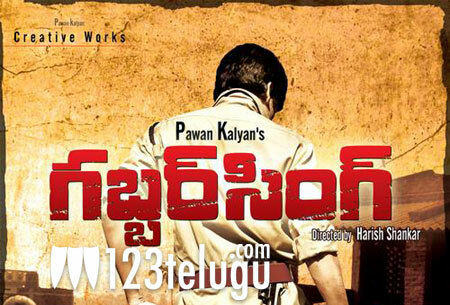 Gabbar Singh to follow Kushi’s sentiment? Pawan Kalyan’s Gabbar Singh might follow Kushi’s sentiment if all goes well. Harish Shankar, who’s directing the film, is reportedly planning to complete the film in the next three months. The buzz is that the film might hit the screens on April 27, 2012. Co-incidentally Kushi had released on April 27, 2001 and it turned out to be one of the biggest hits in Pawan Kalyan’s career. While there’s no comparison between the two films, so far this no two releases of Pawan Kalyan have fallen on the same dates. If this indeed is the expected date of release, then there might a lot more buzz in the coming few months due to this similarity. Gabbar Singh is the official remake of Salman Khan’s Dabangg. Pawan Kalyan and Shruti Haasan are playing the lead roles. Ganesh Babu is producing the film and Devi Sri Prasad is composing the music.